Doyon Properties Inc., a wholly-owned subsidiary of Doyon Limited, and Fairbanks Sewer & Water Inc., a wholly owned subsidiary of Inland Pacific Resources, Inc., equally own Doyon Utilities, LLC. Corporate leadership is provided by senior management, led by Doyon Utilities’ President/CEO, and by the Management Committee. Dan Gavora was appointed President/CEO of Doyon Utilities, LLC in August 2009. For the nearly 10 years before joining Doyon Utilities, LLC Dan provided direct oversight as the President/CEO of Fairbanks Sewer & Water, the second largest water and wastewater utility in Alaska. Dan, a hands-on manager, has a strong background in labor negotiation and business administration and maintains a tremendous rapport with the workforce within his companies. Mr. Gavora’s experience prior to entering the utility industry was in the retail grocery business where he held various management positions to include the Director of Merchandising and Vice President of Advertising overseeing stores in three of Alaska’s largest communities. Dan is active in the National Association of Water Companies and the American Water Works Association. Dan currently serves as Board Chairman for Denali State Bank, and is a member of the Alaskan Command’s Civilian Advisory Board. Dan holds a Bachelor’s degree from the University of Colorado in Business Administration and a major in Finance. Corporate governance and guidance to senior management is provided by the Doyon Utilities, LLC Management Committee. The Management Committee is comprised of seven representatives who hold quarterly meetings. The members bring a wealth of knowledge to the oversight of Doyon Utilities, LLC. They are all professionals in their respective fields and well versed with both experience and their educational backgrounds. Dietz Kellmann has over 30 years of regulatory, strategic planning, corporate development, finance and project management experience working primarily in the energy, water utility and sustainable communities sectors. Dietz is a former Chief Operating Officer and Chief Development Officer of the Corix Group of Companies. 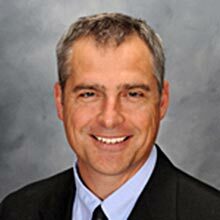 Dietz joined Corix in 2007 as Vice President Corporate Development to support the Company’s growth objectives and capabilities. 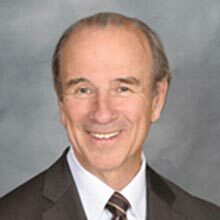 Prior to joining Corix, Dietz worked as an economist for the National Energy Board and as Director, Corporate Finance at Terasen Inc. Dietz has served on numerous boards including Fairbanks Sewer and Water, Inc., Doyon Utilities, LLC and various community organizations. Dietz holds a Bachelor and a Master degree in Economics from the University of Western Ontario, and an MBA in Business Administration and Management from Simon Fraser University. Dietz is a Certified Public Accountant and member of the Certified Management Accountants Society of British Columbia and the Yukon. Andrew Warwick, a graduate of the University of Alaska, and a CPA, has demonstrated leadership both at local and statewide levels in both public and private sector responsibilities. Mr. Warwick has worked as a practicing CPA for over thirty years, served as Chair of the Board of Directors of Fairbanks Sewer and Water, Inc. since its inception in 1995, and has been a member of the Doyon Utilities LLC Management Committee since its inception in 1997. Mr. Warwick is a former State Legislator, and State of Alaska Commissioner of Administration. In addition he has served nine years on the Fairbanks School Board, two terms on the State Board of Education, and six years as Chair of the Alaska Natural Gas Development Authority. Patrick Duke has served as Doyon, Limited’s senior vice president and chief financial officer (CFO) since December 2011. He is responsible for the financial affairs of the company, including tax compliance and planning, business development and strategic planning. Previously, Duke served as the CFO at CIRI, where he worked since 2006. Prior to that, he spent 13 years working in various financial and accounting roles at Sealaska Corp. in Juneau, most recently serving as chief investment officer. He holds a bachelor’s degree in finance from Gonzaga University and is a Chartered Financial Analyst (CFA) charter holder. He serves on the boards of directors of Big Brothers, Big Sisters of Alaska, The CIRI Foundation, and was formerly the chairman of the Blood Bank of Alaska. 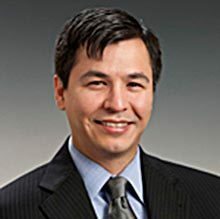 Duke is Tlingit and is an Ahtna and Sealaska shareholder. He was raised in Copper Center and has four children.